Magnum biometric pistol Vault features: industry leading semi-conductor finger print reader allows 360 degree access. No more misreads due to finger position. 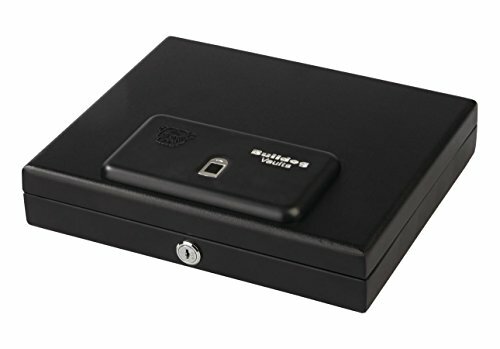 "Self-learning feature" allows the finger print reader to improve each time the Vault is opened. New "user friendly" finger print reader works better with moist, dry, dirty & elderly finger prints than most common Readers. New technology offers better security against fake fingerprints than the commonly used "optical Readers". tamper resistant spring loaded door with "soft stop" technology. Interior light when door is opened, LED Lighted logo, choice of audible or silent mode, 16 gauge heavy-duty steel construction, soft egg-crate foam interior, low battery indicator, and quick opening door with quiet, "soft stop" technology.